DRY ROT ERADICATION SPECIALISTS, TURNERS HILL. Home » DRY ROT ERADICATION SPECIALISTS, TURNERS HILL. 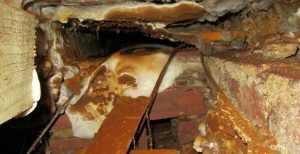 If you already live in or near Turners Hill, Sussex or you are in the process of buying a property in this area and have noticed any of the following unusual things, don’t ignore them, you maybe seeing the first signs of the dreaded Dry Rot Fungus (Serpula lacrymans). 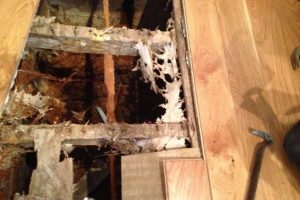 Dry Rot and damp are one of the most highly destructive problems that can affect a property, they can cause major damage and devastation to wood and masonry, not to mention considerable disruption and expense to eradicate it. The only way to deal with this major wood rot problem is to stop the cause of the damp and immediately eradicate the dry rot attack. It is very important to call Tapco HomeDry as soon as possible to arrange a specialist timber & damp survey.